Kevin is a serial entrepreneur who has co-founded five startups, two of which (Lostpedia, Jupiter Hosting) have had successful exits. Kevin is a technologist and enterprise architect with hands-on experience in a broad range of Internet technologies, data center infrastructure, and development tools. Kevin holds an MBA from the Foster School of Business. Sandy is a serial entrepreneur, angel investor, innovator, startup advisor and digital experience visionary. Sandy is passionate about developing a sustainable innovation approach at a global ecosystem level. Sandy has co-founded and successfully led 5 technology companies. He also serves as Executive Chairman of Indigo Slate, an agency that helps fortune 500 companies with innovation and Digital experiences. Sandy enjoys contributing to multiple social causes and nonprofit organizations. Sandy holds a BS in Computer Science from St. Stephen’s College & an MBA from Xavier Institute of Management. Tom is an experienced executive, entrepreneur, active investor and advisor for technology companies who is always interested in learning about something new and different. Tom loves helping businesses scale their development and delivery of cloud services while building a collaborative, execution oriented team culture. Tom has delivered large scale cloud platforms and infrastructure at Apptio and Microsoft. At Microsoft, Tom also lead the development and drove business growth for a number of enterprise applications and systems products focused on analytics, database management, business process management, and online commerce. 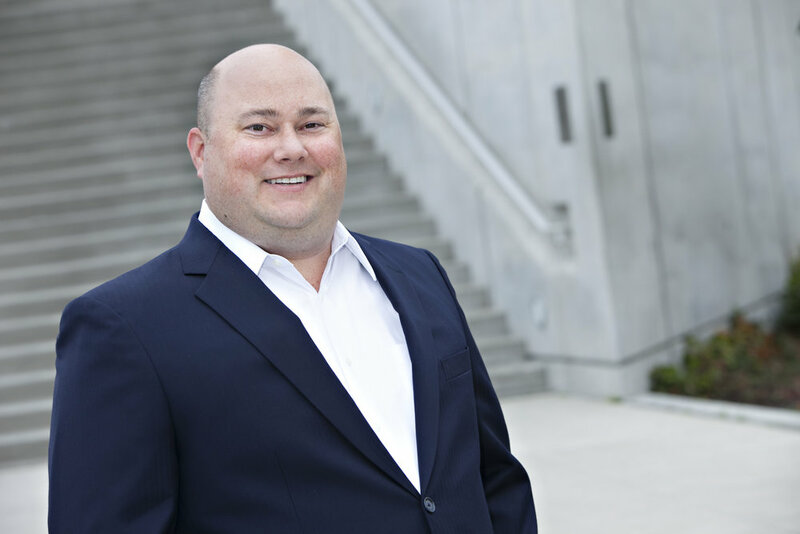 Tom began his career in small startups in the Seattle area and loves helping Pacific Northwest companies grow. He is a co-founder and active advisor at 9Mile Labs, the premier B2B startup accelerator in the Pacific Northwest. Tom serves on the board of Annai Systems which is working to address the “big data” challenges associated with using genomic data in personalized medicine and healthcare improvement. Tom holds a Bachelor’s degree in Management Information Systems from the University of Arizona. Bob is a General Partner at Ignition Partners, an early stage, business software venture capital firm focused on helping entrepreneurs build successful, high growth companies. At Ignition, Bob is investigating blockchain-based companies, the emergence of AR/VR in the business landscape, IoT security and management challenges facing enterprise customers and the emergence of business-process SaaS as cloud transforms the core of enterprise IT. Prior to Ignition, Bob was responsible for all M&A Deal Strategy and Biz Dev for the Cloud and Enterprise (C&E) business at Microsoft. Prior to C&E, Bob oversaw Microsoft’s business and marketing strategy for Windows Azure focusing on Microsoft’s cloud platform execution. Previously, Bob has been instrumental in growing the Windows Server business from a relatively new product to a market leader–helping to shape Microsoft’s $15 billion server and tools business. Bob began his career with Microsoft in 1996 with the Windows NT Server 3.51 marketing team. He later transitioned to launch Windows 2000 Server and later helped to form the company’s U.S. subsidiary. He has held a series of marketing and product management roles, both in the field and corporate offices, such as general manager of Windows Server Product Management and general manager of infrastructure server marketing. A Massachusetts native, Kelly earned his master’s degree and doctorate in English literature from the University of Dallas. Mike Orbach is a Managing Director at Cascadia Capital and leads the firm’s Information Technology Practice. With over 30 years of operational and transactional experience, Orbach has closed more than 90 public, private and cross-border mergers and acquisitions and financings. Orbach joined Cascadia Capital from Pagemill Partners, where he served as a Managing Director. Prior to joining Pagemill Partners, Orbach was a partner at Stonecroft Capital. Michael was also a founding member of ABB New Ventures Ltd, and a Managing Director of the ABB Industrial IT Venture Fund. During his career as a software entrepreneur, Orbach co-founded and managed Simulation Sciences from inception through its IPO; he then sold the business to Invensys. Orbach also led technology and service company M&A for Aspen Technology and co-founded Skyva International, which he later sold to ABB Ltd.
Orbach has a bachelor’s degree in chemical engineering from the University of Witwatersrand and an MBA from the University of Washington. Heather Redman is Co-Founder and Managing Partner at Flying Fish Partners, an early stage software technology investment firm investing in the Pacific Northwest. She is also a VP of Business Operations & General Counsel at Indix Corporation. Heather’s prior roles include Senior Vice President at Summit Power Group and Executive and Senior Vice President at each of AtomShockwave, Inc., Getty Images, Inc., and PhotoDisc, Inc. While at PhotoDisc and Atom, Heather led the negotiations for the successful sale of these companies and negotiated many acquisitions on the buy side. She was also General Counsel of Getty Images, a publicly traded company, and managed that company’s listing on NASDAQ. Heather serves on the Boards of Summit Power Group, the Washington Technology Industry Association, the Greater Seattle Chamber, the Hawthorn Club, Global EIR Coalition, Forterra and the Finance Committee for the Seattle Chamber’s PAC. Heather is active in local and national policy. In addition to being a mentor and advisor at 9Mile Labs, she is also a mentor and investor at TechStars and an investor in Founders’ Co-op, Alliance of Angels and Pioneer Square Labs while making her own independent angel investments. Heather holds a JD (with distinction) from Stanford and her BA from Reed. Gary is a private investor and entrepreneur based who has invested in over 80 companies in the Seattle area. With a diverse 25 years of experience in launching startups, business acquisition, commercial real estate investing and running large scale businesses, Gary is rich with insights, growth and business strategies. Gary was President/CEO of Architectural Details, Lighting Universe and ATG Stores, as well as a VP for Lowe’s. Most recently, Gary’s acquired start up i1 Biometrics, a company that provides sensored products for the sporting goods industry, helping to identify head injuries and trauma. Gary views everyday as a new opportunity to change the world in some way, his goal is to be a positive and inspiring addition to people’s lives.